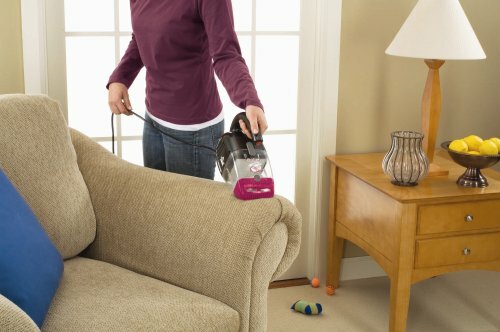 ​Ever since the arrival of vacuum cleaners, cleaning has become quite an easy and enjoyable chore. As the demand for these dust busters kept growing, different types of vacuums, varying in size, shape, and design started to make their way into the market. Vacuum cleaners have come a long way since their inception, and now we’re in an age where we get robotic vacuum cleaners with intelligent programming that does all the cleaning for you, without you even budging from your seat. When it comes to cleaning the interiors of cars, or picking up dust from the carpets, or doing a quick cleanup of spills, a handheld vacuum cleaner always does a better job than the full-sized stick vacuums. Because of their lightweight, portability, and ease of use, handheld vacuums have become one of the most sought-after cleaning appliances today. Compact and smaller in size, they can be easily tucked away in shelves, cupboards or kitchen drawers. If you have kids or pets at home, a handheld vacuum cleaner is a must-have appliance in your home. Their uniquely designed brushes will help get rid of pet hair, dust, dirt, and spills from even the tough to reach areas within seconds. Now that you know the benefits of having a handheld vacuum cleaner, you must be ready to get one for your home or car. With countless brands out there offering vacuum cleaners of numerous varieties, choosing the best one requires a bit of research. But don’t worry! We’ve made things easier for you. After extensive research on many of the handheld vacuum cleaners available in the market, we’ve picked out the 6 best handheld dustbusters that you may consider buying. 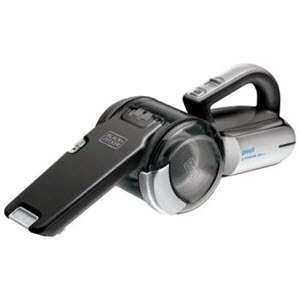 ​This is one of the best products that have come out of the line of Black & Decker handheld dustbuster range. One of the most popular and highest rated vacuum cleaners, the Black & Decker CHV1410L employs powerful suction, outstanding performance and Lithium Ion for long battery life. Smart Charge Technology that uses up to 50% less energy. The battery has a longer lifespan as it can charge up to 5 times faster than NiCad batteries and hold a charge for up to 18 months. Uses Cyclonic Action Technology by which the dust and debris that are sucked in spins away from the filter. This helps keep the filter clean and function at its best. 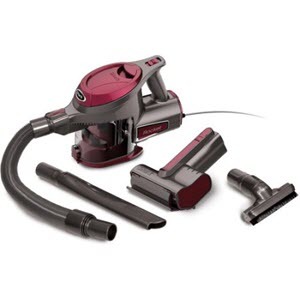 The wide mouth design of the vacuum allows for picking up large chunks of dirt and debris easily. The device features amazing suction power and can be used on surfaces like carpet, ceramic tiles, furniture and more. The slim rotating nozzle with a built-in crevice feature offers 50 percent more reach and enables easy cleaning of tight spots and hard-to-access areas. Uses a translucent, bagless dirt bowl that makes it easy for you to see dirt and empty the bowl when required. The bowl is easy to clean, and the filter is machine washable. 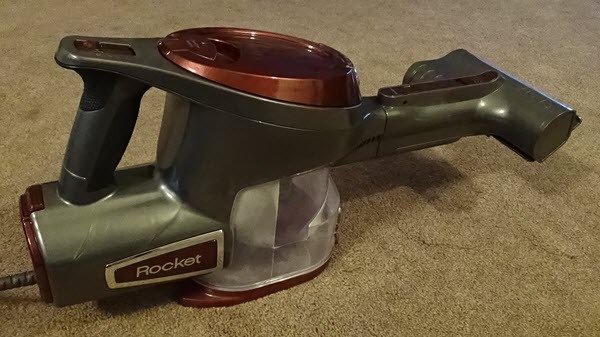 ​If you’re looking for a small, lightweight and powerful handheld vacuum that can be carried around easily and perform quick clean-up of small messes around the house, the Shark Rocket Corded HV292 vacuum is probably the ideal choice. 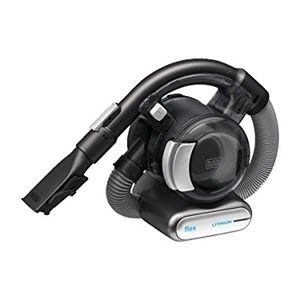 Moreover, this vacuum comes with multiple attachments, making it perfect for cleaning dirt, debris and pet hair from different types of surfaces including carpets, upholstery, furniture, and floors. The overall weight of the product is only 4 pounds, making it extremely lightweight and portable. Never loses power or suction. The power cord is 15 feet long, providing great cleaning reach. Comes with several accessories, including a TruePet Motorized Brush, dusting brush, crevice tool and a stretch hose. 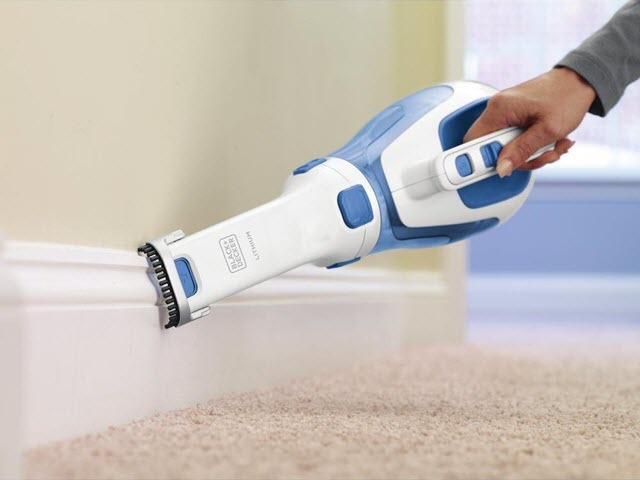 The TruePet motorized brush offers powerful deep cleaning of furniture, car interiors, stairs, and upholstery. 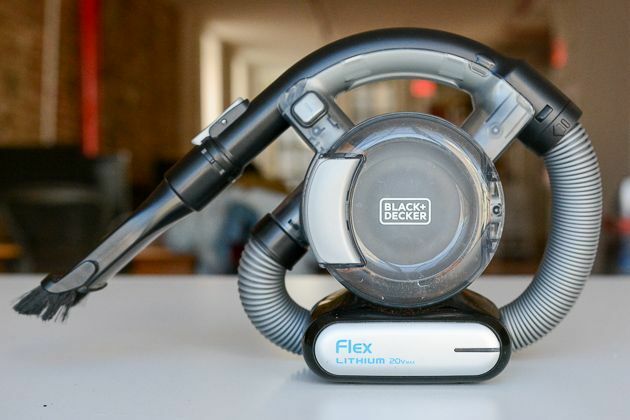 Flexible hose attachment connects cleaning tools to the vacuum cleaner, providing great control while cleaning hard to reach areas. Easy to empty dust cup. All you need to do is press a button to release the bottom door to empty the cup. Washable and reusable filter, which helps reduce maintenance costs. ​A somewhat less pricey handheld dustbuster yet delivering optimum performance and amazing suction power is the Black & Decker HHVI320JR02 ​Cordless Lithium Hand Vacuum​. 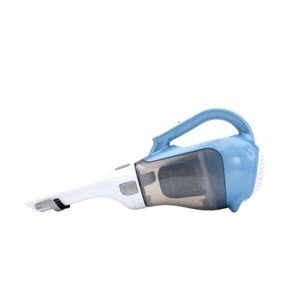 Featuring Lithium technology that provides powerful suction and extended usage time, this handheld vacuum is ideal for cleaning not only your home but also your garage, vehicles and even your boat. 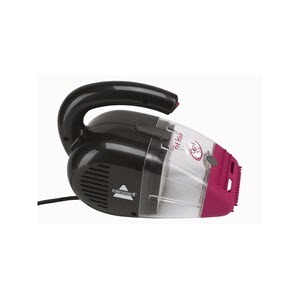 ​The Bissell 33A1 corded handheld vacuum is one of the best and most popular pet hair vacuum cleaners available today. With a compact and lightweight design, this portable unit can provide a quick and easy cleanup of your home. 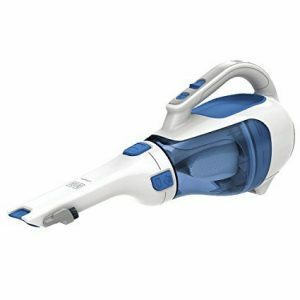 It features a contoured nozzle that is capable of cleaning hard to reach areas as well as furniture, car interiors, and upholstery. 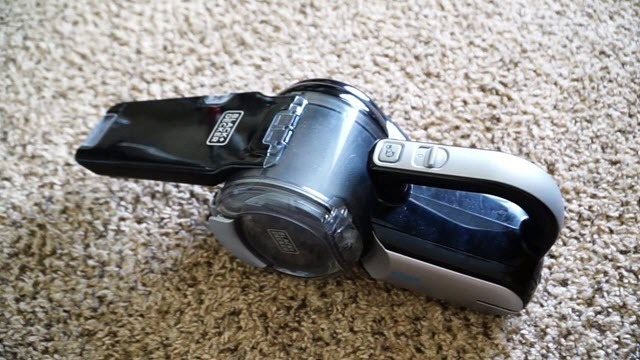 ​The next handheld dust buster that has made it to the top six is the Black & Decker BDH2000PL Max Lithium Pivot Vacuum. If you’re looking for a small, compact yet powerful vacuum cleaner, this is the perfect one for you. Great for cleaning carpets, upholstery, curtains, and stairs, the Black & Decker BDH2000PL is one of the finest products that offers powerful and speck-free cleaning. ​The Black & Decker BDH2020FL is another top-rated handheld dustbuster that comes with many convenient features that allow you to clean even the deepest and hard to reach spaces in your house. ​A handheld vacuum cleaner is, without doubt, one of the most important cleaning equipment every home should have. Packed with several useful features, the benefits of owning a handheld dustbuster are many. From cleaning up small messes to getting rid of pet hair and cleaning hard-to-reach areas, these devices take cleaning to a whole new level. If you haven’t bought a handheld vacuum cleaner yet, it’s high time you did. The vacuum cleaners mentioned here are some of the most popular and best-selling options available. Hope the list will help you zero in on the right product that will cater to all your cleaning requirements! How powerful suction can be? need advice, a little confused, will this site help? All the dustbusters have enough suction power. If you want to know about any specific model please let me know.